Spencer Italia is attending with great pride Interschutz 2015. The Italian company leader in the world of medical devices for rescue and EMS will be at the German festival with a major exhibition in Hall 26, E02 location. 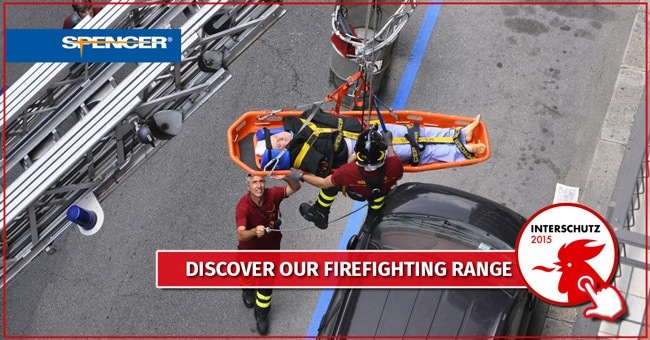 All the innovative solutions designed by Spencer for professional rescuers, firefighters and rescue crew will be present in Hanover, with particular attention to the transport and immobilization devices. EXTREME RECOVERIES – Basket stretchers for extreme rescue will be the affirmed star of the stand. The Dakar, in particular, is one of the devices that collects most success among the rescuers, allowing the transport of injured also by a single operator, thanks to the integrated wheels system. A winning solution that in extreme environments and in case of emergency really puts rescuers in conditions to double their efforts and effectiveness. The chassis of the Dakar is the super-proven Flex – frame in stainless steel: Spencer idea for uniting rationality and mobility in a single stretcher and promising rescue worker to move with agility and safety both on the road and on rough terrain. Dakar indeed has a split personality, quality guaranteed by Spencer. On one hand it is comfortable; on the other is all-terrain. Features firmly bound together through Spencer technology. MULTI-FUNCTION STRETCHERS – Previewed internationally during Spencer Day, in Interschutz 2015 the new Cross Chair will be among the protagonists, the first multi-function roll-in stretcher that provides two solutions in one for the transport of patients by ambulance. At its side will be the most advanced devices that the ambulances around the world can not miss: the Jet Compact aspirator (the lightest suction unit in the world) the backboard Tango and the paediatric immobilization system Fixo Kid. NEW PREVIEW – Spencer wants to surprise European rescuers attending Interschutz with another new device. This is the 4Bell, the first ultra-light cardiopathic chair produced with a new alloy of materials and providing an innovative mounting system. CONTINUOUS TRAINING – Spencer during Interschutz Fair 2015 will be present with its operators to continue developing the theme of training in emergencies. The new carriage systems and basket stretchers will be the focus of training specifically during the fair, while another meeting will focus on immobilisation. These appointments will be on June 9 and 11. 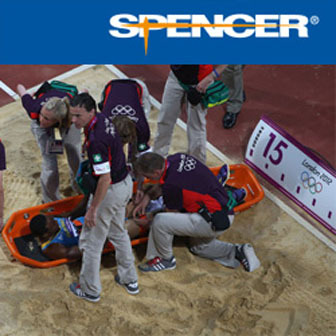 For more information about training sessions and new devices presented by Spencer you can contact the company via the email address or by visiting their website. Spencer news can also be found both on Facebook and Twitter.